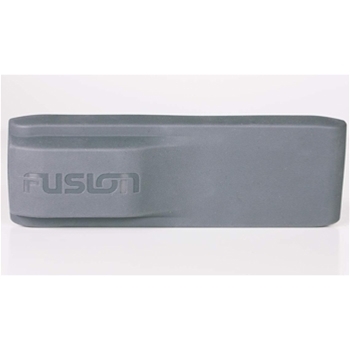 Fusion Stereos and Marine Speakers: The GPS Store, Inc.
Fusion Silicone Dust Cover for RA70 Stereos. 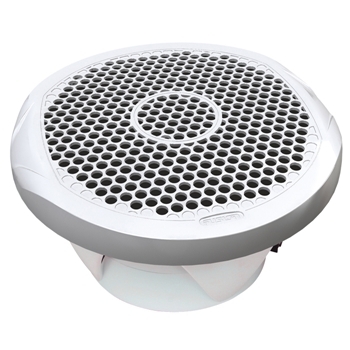 The Fusion FR6022 6" 200 watt marine grade speakers provide high performance and quality sound. Whether you have a 18' or a 40' boat, these speakers will sound great. Includes 2 speakers and a set of black, white and spoke grey grills. 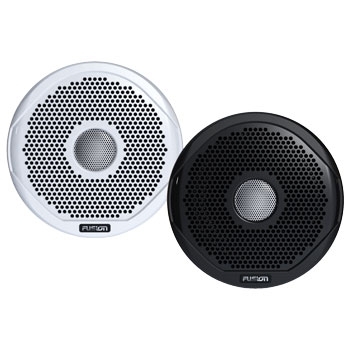 The Fusion FR7022 7" 260 watt marine grade speakers provide high performance and quality sound. 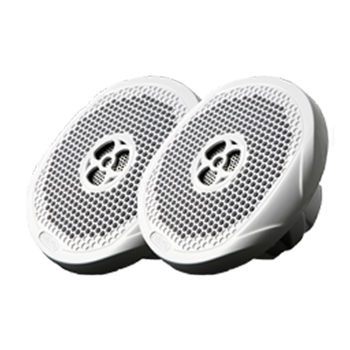 Whether you have a 18' or a 40' boat, these speakers will sound great. Includes 2 speakers and a set of black, white and spoke sport grey grills. 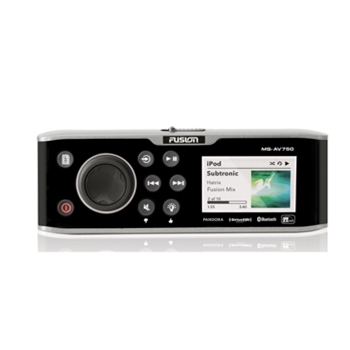 Fusion's RA770 Apollo Marine Stereo unites high quality audio with several user-friendly features. Control your audio experience through Fusion-Link Controls, PartyBus technology and an easy to use 4.3” touchscreen display. 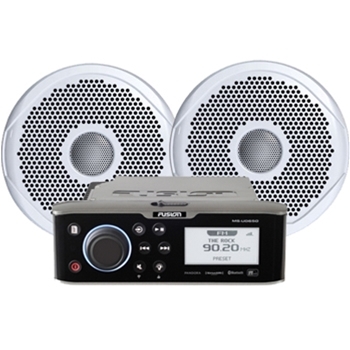 The Fusion MS-RA55 Marine Stereo is a compact and affordable Mulit-Zone Radio. AM/FM and Bluetooth Compatible the RA-55 has a 2.6” LCD Display that is viewable day or night. 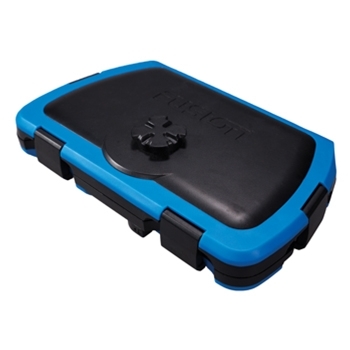 IPX5 Waterproof Rating, the RA55 is designed for the all the elements the Marine environment offers. 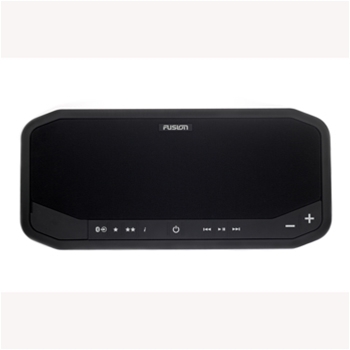 The Fusion ACSVX300 Sirius Satellite Receiver connects to any Sirius ready Fusion 700 series stereo giving you access to all the entertainment Sirius has to offer. Antenna and Sirius subscription Required. 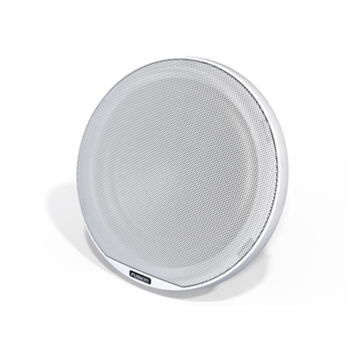 Fusion FR4021 are 4" Marine Grade high performance speakers that are small in size but big on sound. They are perfect for small boats with limited space. Includes 2 speakers and a set of white grills. 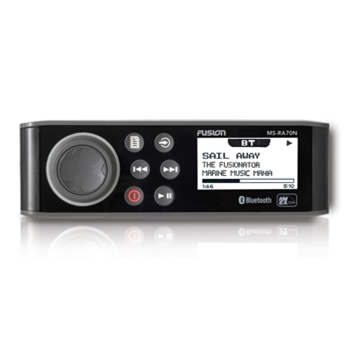 Fusion’s Black Box with NRX-300i is a compact, full featured entertainment system offering FUSION-Link capabilities via NMEA2000, Blue-tooth Audio Streaming and Multi-Zone Technology. AM/FM/ USB/ SiriusXM Ready/AUX/ iPod/iPhone/MTP/Bluetooth. Packaged with NRX-300i Wired Remote which includes LCD Display and Rotary Knob for complete control. 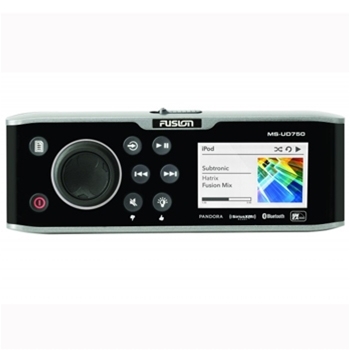 Fusions AV650 with DVD and CD Player are a top choice in Marine Stereos. 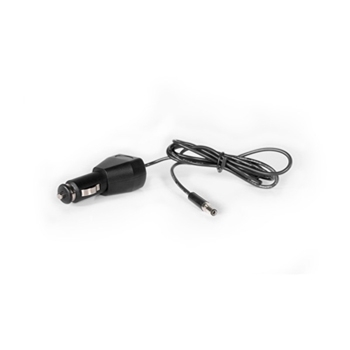 Rugged and Designed to withstand the elements the AV650 offers FUSION-Link, Bluetooth Streaming and NMEA2000 Connectivity. Top Choice for Entertainment on the open waters. 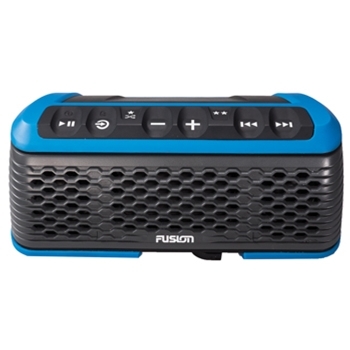 Fusion’s UD 755 Marine Stereo with Built-In Uni-Dock and Optically Bonded Color Display keeps your iPod, iPhone or Android Device safe from the elements while playing your favorite tunes and charging your device. 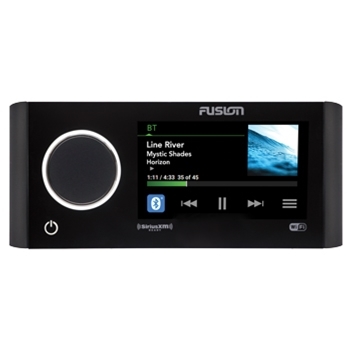 FUSION-Link, Multi-Zone (4) Technology, NMEA2000 Control and AM/FM, USB, AUX, Bluetooth and Sirius-XM Ready. Fusion RA70 Stereo Speaker Bundle includes the Fusion RA70 Stereo unit bundled with a pair of Poly-Planar MA-7065 6.5" Premium Speakers. 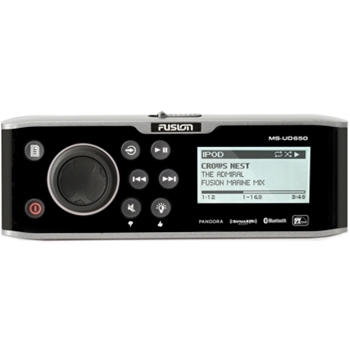 The Fusion RA70NSX is a compact marine stereo. SiriusXM ready, AM/FM and Bluetooth compatible, the RA70NSX can stream music from your compatible smartphone device when paired with the appropriate FREE app for Apple or Android. 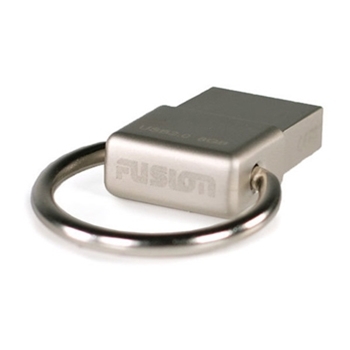 Fusion-Link capable via Wired NMEA2000 enables control of the RA70NSX from your compatible MFD. 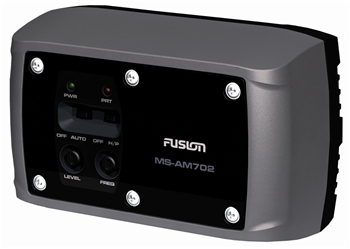 Fusion's MS-AM702 Marine Zone Amplifier allows you to setup multiple sound zones with your Mulit-Zone Fusion radios. 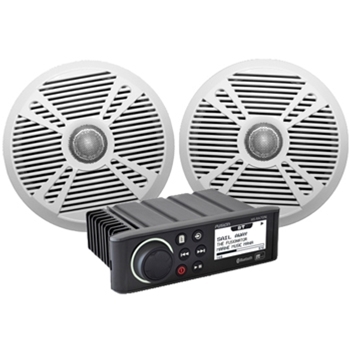 Fusion's MS-SW10 is a 10 inch, 400 Watt marine grade Subwoofer for your Fusion marine radio. 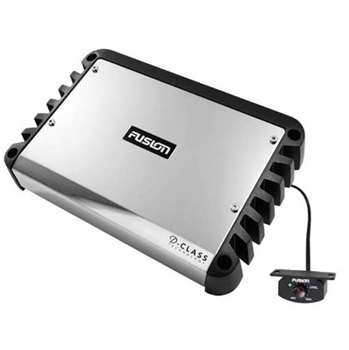 Fusion DA-51600 1600 Watt 5 Channel Marine Amplifier. 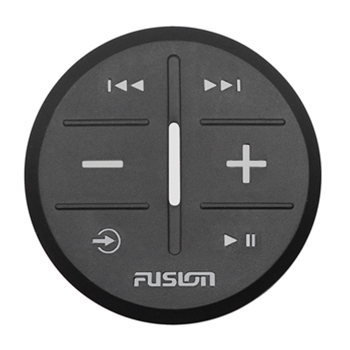 The Fusion Universal Dock will expand your current Fusion AV650, AV700, AV750, IP700, UD650, UD750 or RA205 stereo to have an enclosed iPod hook up. This dock works with all iPods/iPhones including the 5. The MS-UNIDOCK dock also has connections for your Andriod phone. Fusion’s AV-755 is a top choice in Marine Entertainment. 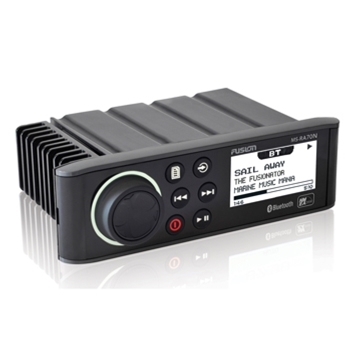 Rugged and Waterproof, the AV-755 includes a built-in DVD player, 280W Amplifier, NMEA2000 Connectivity, FUSION-Link Wired and Wireless control and an optically bonded LCD Display. 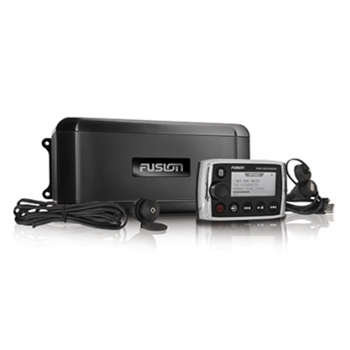 Fusion’s UD650 Marine Stereo with Built-In Uni-Dock offers a rugged, waterproof solution to on the water entertainment. The included Uni-Dock keeps your iPod, iPhone or Android Device safe from the elements while playing your favorite tunes and charging your device. 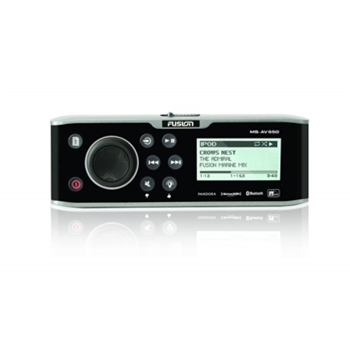 BlueTooth, FUSION-Link, NMEA2000 Control and AM/FM, USB, AUX and Sirius-XM Ready. 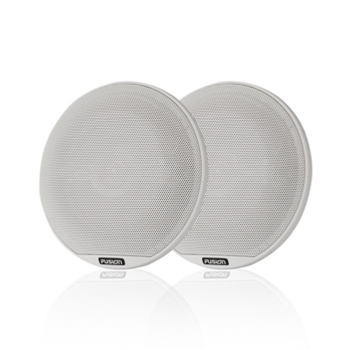 Providing High Quality Sound and Performance, the 6.5" Signature Series Speakers SG-CL65SPW from Fusion are fully sealed and protected from the marine environment and offer Sports-Style White Grill with Dual-Colored Diffused LED Lighting which can be turned on or left off depending on your preference. 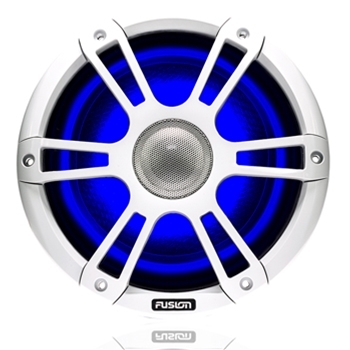 Fusion’s SG-SL101SPW is a 450W LED Marine Subwoofer with Dual-Color Diffused LED Lighting in Striking Blue or Sparkling White. Producing 450W Max Output Power the Signature Series Sub is a great addition to your Fusion Marine Entertainment Setup. - Sport Ice White Design. 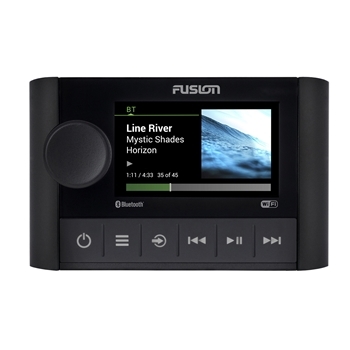 Fusion’s UD 755 Marine Stereo Bundle with Built-In Uni-Dock and Optically Bonded Color Display keeps your iPod, iPhone or Android Device safe from the elements while playing your favorite tunes and charging your device. 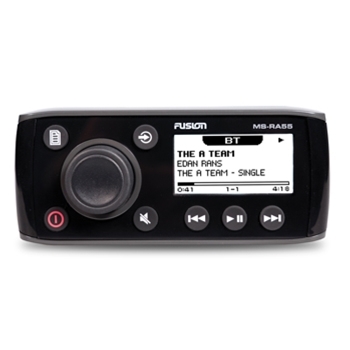 FUSION-Link, Multi-Zone (4) Technology, NMEA2000 Control and AM/FM, USB, AUX, Bluetooth and Sirius-XM Ready. This Bundle includes a pair of FR-7022 Speakers. Fusion’s UD650 Marine Stereo with Built-In Uni-Dock offers a rugged, waterproof solution to on the water entertainment. The included Uni-Dock keeps your iPod, iPhone or Android Device safe from the elements while playing your favorite tunes and charging your device. BlueTooth, FUSION-Link, NMEA2000 Control and AM/FM, USB, AUX and Sirius-XM Ready. This Bundle includes a set of FR-7021 Speakers. 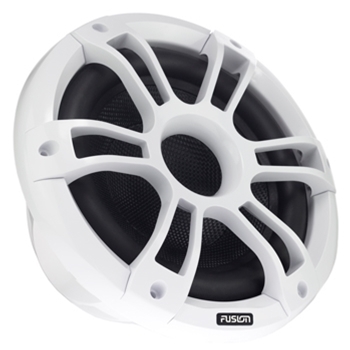 Providing High Quality Sound and Performance, the 6.5" Signature Series Speakers from Fusion are fully sealed and protected from the marine environment and offer Classic-Style White Grill. 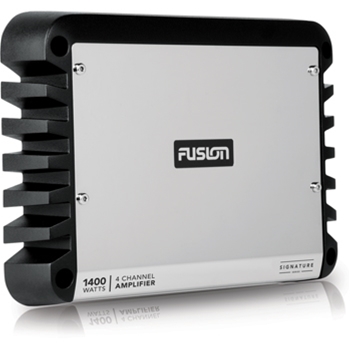 Fusion's MS-AM504 Marine Amplifier has 500 Watts of power and 4 Channels for your Fusion marine radio. Providing High Quality Sound and Performance, the 7.7" Signature Series Speakers from Fusion are fully sealed and protected from the marine environment and offer Classic-Style White Grill. Fusion’s SG-S10W is a 450W Marine Subwoofer. Producing 450W Max Output Power the Signature Series Sub is a great addition to your Fusion Marine Entertainment Setup. - Classic White Design. 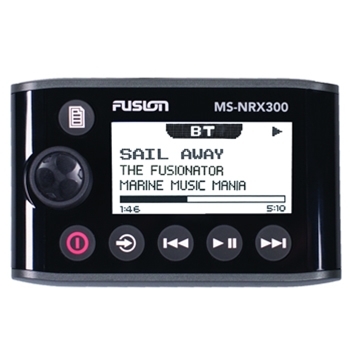 Fusion's NRX-300 Wired Remote Control makes controlling your compatible Fusion Marine Stereo a breeze. Flush Mount or Dash Mount, the NRX300 offers Multi-Zone Technology allowing for full control or the option to mount a remote for each Zone, NMEA2000 Certified with a 2.6" LCD Display. 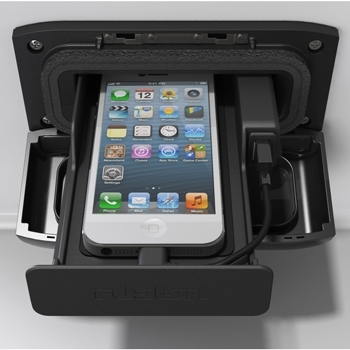 Keep your valuables safe and secure while on the water with Fusion's Active Safe. Fusion’s SRX-400 Apollo stereo offers AM/FM/Bluetooth/WiFi Audio Streaming and UPnP and can be used as a 1 zone, 2 Ohm standalone stereo or intergrated into an existing Fusion setup to add an additional zone thru Multi-Zone technology. 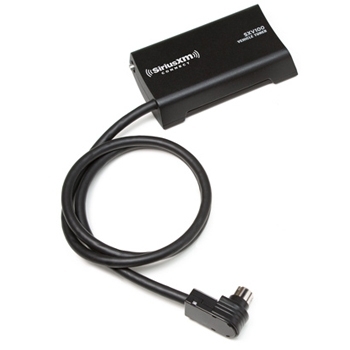 Power up to 4 speakers when connected in parallel with the SRX-400. 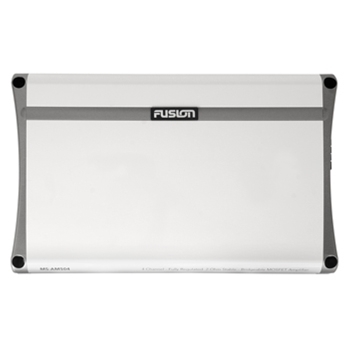 Fusion’s Panel Stereo is an all in one, plug and play audio solution. Offering Bluetooth streaming, AM/FM, USB and AUX this compact stereo works anywhere on your vessel. 2 3” speakers provide crisp, clear sound.